Who Uses Purple Shampoo And Why? Is Purple Shampoo Right for You? For a while now I’ve been on the lookout for the perfect purple shampoo. I’ve tried plenty of different brands to see which has the best results leaving my hair looking just the way I want it, but until I came across Joico Color Endure violet shampoo, I didn’t find anything. For those of you who aren’t “in the know” about purple shampoo, I’ll let you in on a secret – this stuff works! Let’s start off with the main questions. Blondes. Blondes. Blondes. Although we know blondes have more fun, with great power comes great responsibility! 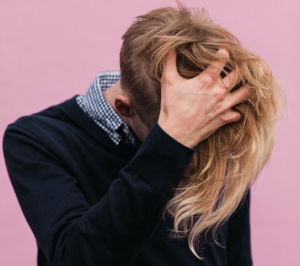 Whether you’re a natural blonde, or you’re just a blonde for the time being, oftentimes you may find yourself struggling with the world of brassiness. B-R-A-S-S. Just don’t. Having brassy tones in your beautiful blonde hair ruins everything. It’s kind of like the feeling when you buy a new pair of suede shoes and spend the whole day trying to avoid stepping in anything that will make them dirty… and after a long day of hard work and looking great, an obnoxious little kid runs up and steps on your shoe and leaves a giant muddy footprint behind. REALLY?! Ladies, you know what I’m talking about. I’m here to tell you that life doesn’t have to be this way! When you use purple shampoo, it will automatically take out those unwanted yellow/orange brassy tones that sneak up in your hair when you least expect it! Simple. If you take a look at any color wheel, you’ll quickly notice that purple is the chromatic opposite of yellow. So because the purple shampoo is actually a very dark shade of purple, it visually overpowers yellow tones in your hair, leaving you with the color you’ve always wanted. Before applying the purple shampoo to your hair, make sure you’ve washed your hair with regular shampoo and conditioner and gotten it all out. Once you’ve done that, carefully lather the purple into your hair, making sure you get all the roots and different places that the brass could be hiding! Do this 2 times, each time letting it sit for 3-5 minutes, and rinse. Depending on what brand of purple shampoo you’re using, after a few times of usage you should begin to see a difference. Word to the wise – THIS STUFF IS STRONG. It’s recommended not to use any kind of purple shampoo more than once a week (unless you’re trying to actually turn your hair purple). As a brand, Joico has always striven to be at the forefront of the latest innovations in hair care technology as well as pioneering new scientific understandings that open our mind to the different possibilities for treating dry or damaged hair. 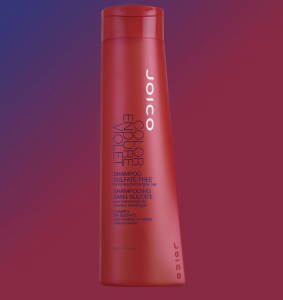 The brand was formed in the 1975 – the same year Joico’s scientists discovered a way to capture and utilize the natural Keratin proteins which are directly linked to healthy and strong hair follicles. 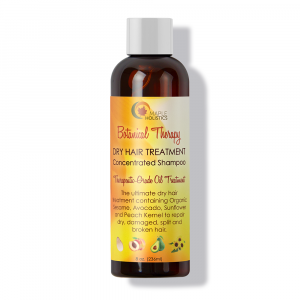 The shampoo was called the Deep Penetrating Reconstructor and it’s still in use today as it’s highly effective at nourishing dry and damaged hair follicles whilst allowing you to regulate and maintain a clean and healthy scalp. 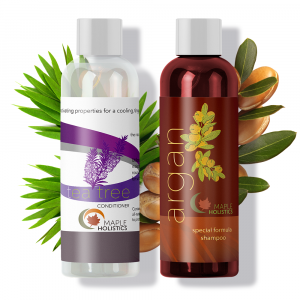 Most of the products in this brands catalog are designed to have a duel effect on your hair – on one hand, they keep your hair fresh and clean by effectively removing grime and dirt from the surface of your scalp like any shampoo, whilst also ensuring that your hair follicles are nourished and hydrated. The addition of actual human keratin proteins allows the cuticles on your hair follicles to contract which makes your hair stronger and helps to lock in moisture. This is a deviation from the norm when it comes to shampoos as most shampoos tend to strip your hair of Keratin and other natural oils (which leads to dry, damaged hair and eventually hair loss) while the Joico line actively works to add Keratin to your hair and thus leads to a more balanced head of hair with regular washing. 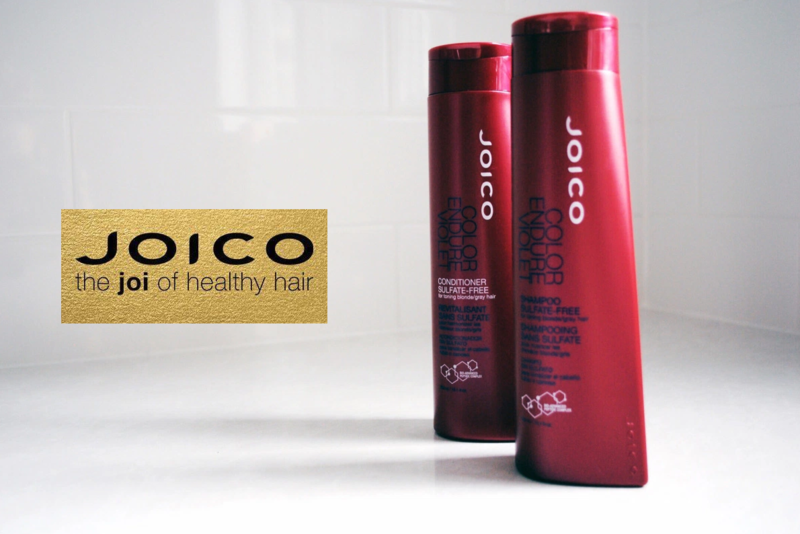 As far as shampoos go – Joico are one of the best commercial brands out there for people with sensitize hair or naturally drier hair types. Using Joico on a regular basis can help to moisturize and nourish your hair, increase your natural volume and strengthen your follicles from root to tip. Like I said in the beginning, I have experimented with 3 or 4 different types of purple shampoo and each one has their ups and downs. However, I’ve found the best one yet to be Joico Color Endure Violet Shampoo. Joico Color Endure Violet Sulfate Free Shampoo is a color preserving cleanser, especially developed for blonde hair. This color depositing cleanser works effectively to help maintain and brighten cool blonde and grey hair tones. Joico’s exclusive Multi-Spectrum Defense Complex combines Green Tea with Antioxidants and UV Protectors to neutralize oxidation, which can lead to the hair becoming brassy or yellow. I always like to do before and after pictures when I’m trying out different products on my hair to see if I notice a difference. I’m exited to tell you that from my purple shampoo before and after, even after only 1 or 2 times of using Joico violet shampoo, THERE IS MOST CERTAINLY A VISIBLE DIFFERENCE! Before I used the shampoo my hair was brassy, yellow, and even had some peachy strips. I did some research and saw that Joico shampoo was supposed to be magical. Let me tell you, now I’m a believer. All Joico products are fantastic so I’m not sure why it took me so long to find this one, but I’m thankful I did. With other brands of purple shampoos, I found that the products stripped my hair of moisture, leaving it dry and straw-like. However, this was not the case when it came to using the Joico purple shampoo. Joico color endure violet shampoo is efficient and effective, and at the same time, it also leaves my hair looking healthy and better than ever. 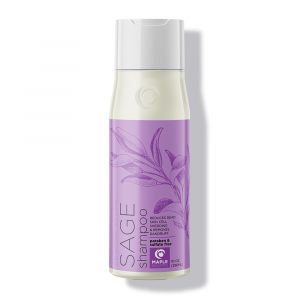 I have never seen my hair get dry from this shampoo, and although the shampoo does have a thick consistency, it is relatively easy to rinse out, leaving my hair smelling pretty damn good – which is something you can’t find with the other purple shampoos. If you bleach your hair, or just highlight it, this is something to get your hands on – and quickly. 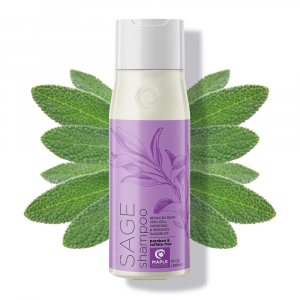 If you’re someone like me who tries to avoid harmful chemicals in shampoo, you’ll be pleased to note that this product is sulfate free (sold me right there). Plus, it has a yummy fragrance and is very potent in the most magnificent way. I’ve never even seen chemical toner work as well as this potion of the gods… ya… it’s THAT good. Joico Color Endure Violet Shampoo. Firstly, if you don’t have blonde, grey, white or a generally lighter hair color you shouldn’t be using purple shampoo. The reason why purple shampoo is purple is because it’s the opposite of ‘yellow’ hair and when you wash lighter color hair with purple shampoo, you actively start to cool the brassy tones that are so common with lighter hair tones. But what forms brassy tones in the first place? Well, it’s really a combination of a variety of different factors such as air pollutants, mineral buildup from showering, smoke, hair care products and heat-based styling techniques can all lead to the formation of brassy tones as well as making your hair seem dull, drab, dry and brittle. By washing with a good purple shampoo on a regular basis (such as the Joico Color Endure Violet Shampoo), you can actively help to reverse and reduce the effects of brassy hair tones as well as keep your hair moisturized and nourished, ultimately reversing the effects of dry and brittle hair whilst restoring your hair’s natural tone and leading to a stronger head of hair. If you’re still not sure whether you need to use a purple shampoo or would prefer to get a better idea of which shampoo would be best suited to your hair in particular, I would recommend speaking to a hair care professional. Just be aware of the fact that they’re more likely to try and persuade you to buy from the brand that they use in their salon, so I’d recommend consulting someone who uses the brand(s) that you like or would be comfortable spending money on. When it comes to dying my hair, I’ve always been very careful when using treatments or products that can be used at home. This is simply because of the hassle that usually comes with the process (the mess!) and because it can be difficult to get good results if you don’t know what you’re doing. Thankfully though, the Joico Color Intensity range has simplified the process quite a lot and made it really easy to get awesome results quickly, easily and cheaply. Given that your hair is ready to be dyed (I would speak to a hair dresser or stylist about that process), you can get amazing results in the comfort of your own bathroom. We all know how expensive getting your hair dyed can be, so the ability to do so at home is a huge plus. Joico also has a range of other products (listed above) to help treat color sensitive hair. So they’re basically your one-stop color shop. The Joico Color Intensity range is easy to apply, doesn’t tend to stain the skin as badly when applied and can be used in conjunction with a natural conditioner to help ease the application process. This means your hair won’t dry out (this tends to happen to me whenever I’ve used cheaper dyes at home) and gives you more room for play when it comes to applying the dye to your hair. I’d also recommend using some almond or avocado oil on your hair for a few days after the coloring process is complete. 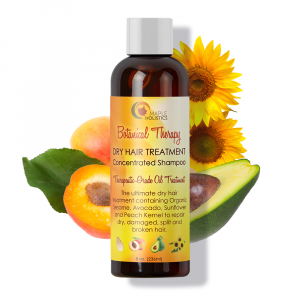 This will ensure that your hair retains its moisture, stays nourished and will help to protect against split ends. A definite must-have for anyone who is used to changing their colors on a regular basis or who makes use of heat styling. Ultimately, if you’ve got blonde, grey or a generally lighter tone of hair – I would highly recommend investing in a good brand of purple shampoo and the Joico Color Endure Violet Shampoo is that brand. Brassy tones can make your hair look dated and dull – not to mention having a direct effect on the quality and health of your hair in general. I would also recommend getting a suitable purple conditioner to help balance out any of the drying effects that a purple shampoo may have on your hair. However, the Joico range makes considerable efforts to ensure that the shampoo nourishes and hydrates your hair in the first place, which means you have less to worry about in terms of keeping your hair in check and have more freedom to experiment with a balance or formula that works for your hair in particular. Turn back the clock and look years younger with a vibrant, healthy head of strong hair with the Joico Color Endure Violet Shampoo.